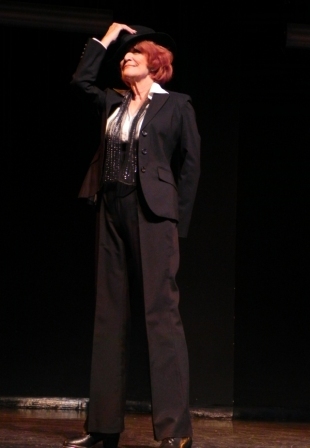 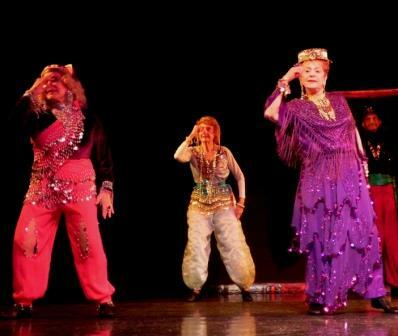 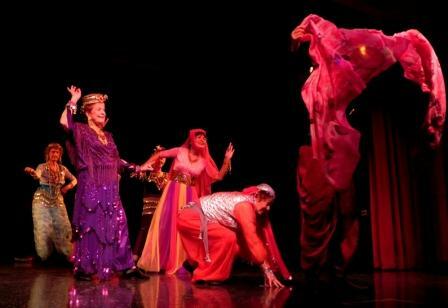 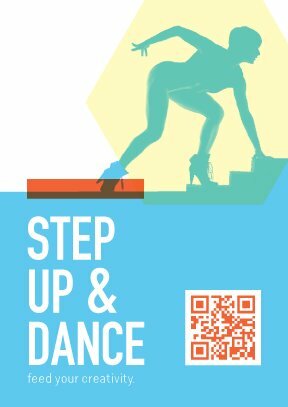 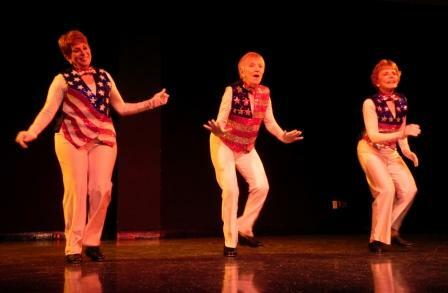 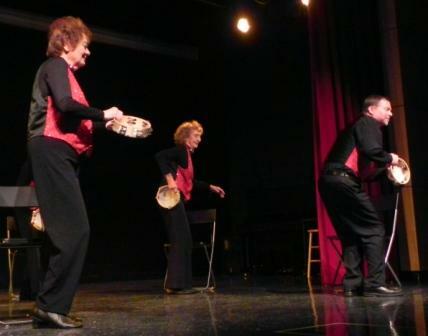 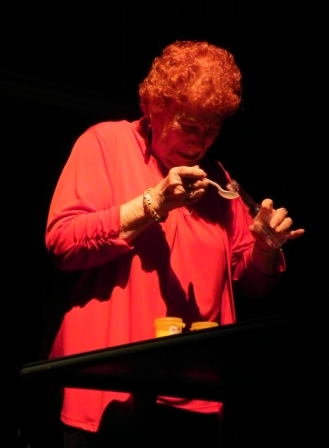 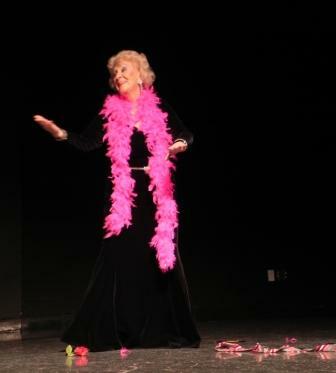 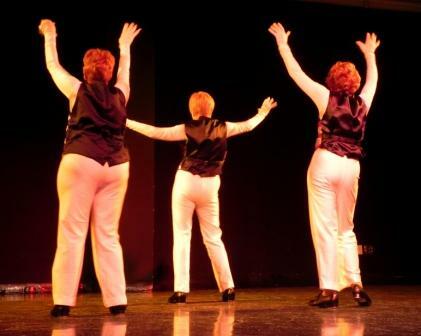 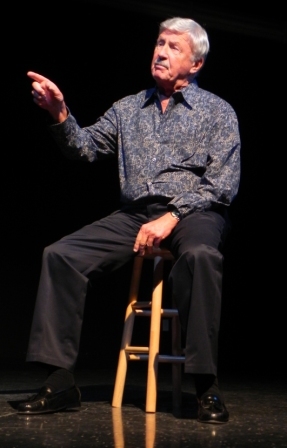 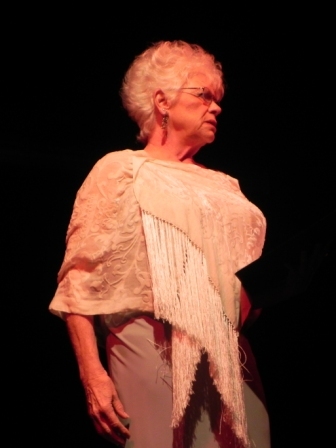 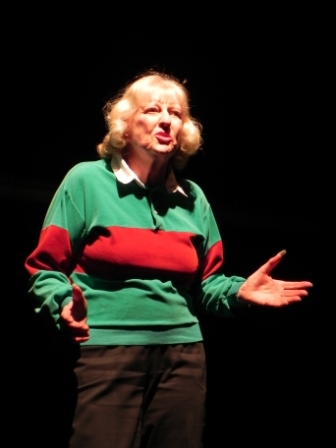 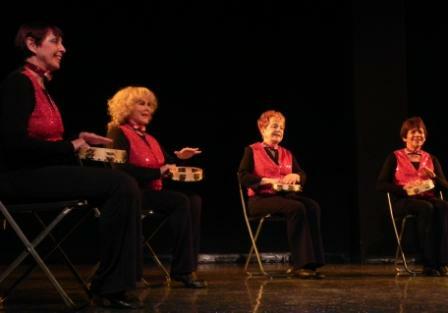 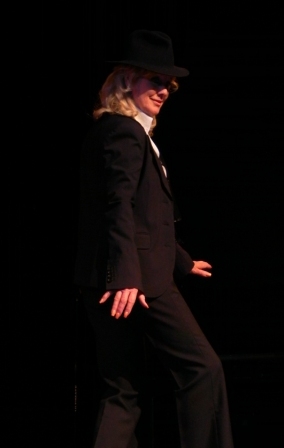 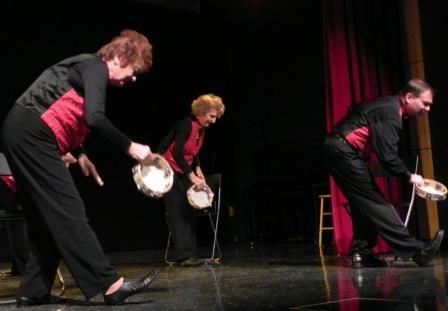 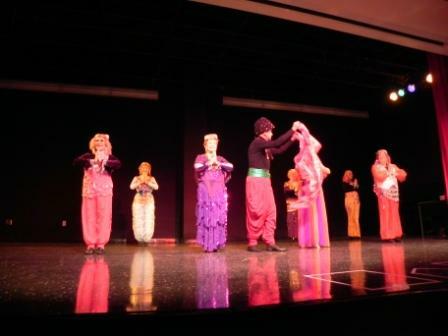 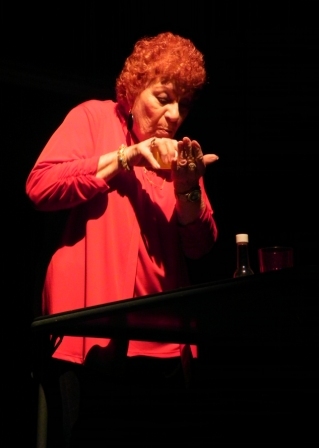 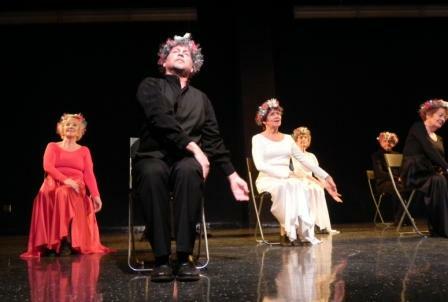 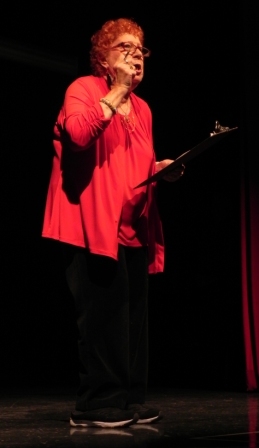 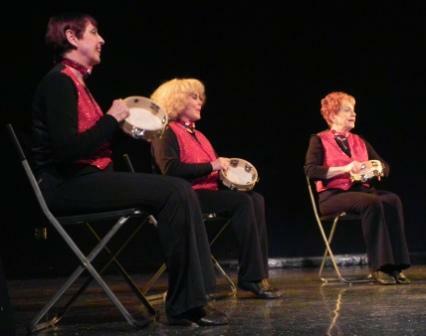 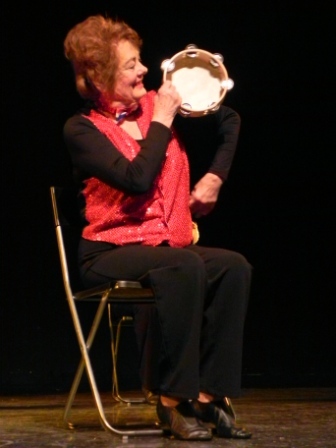 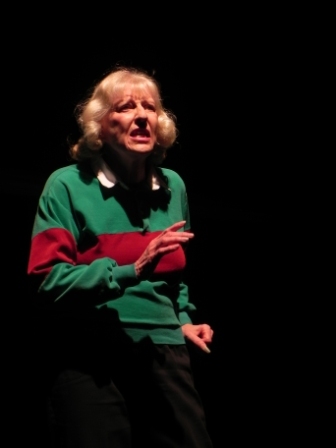 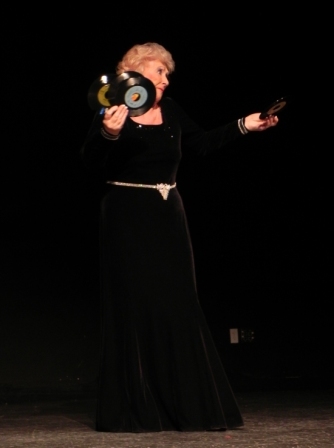 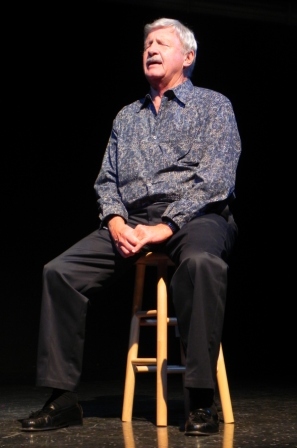 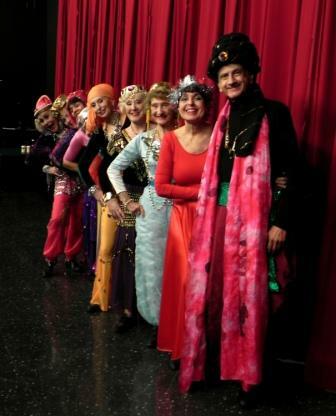 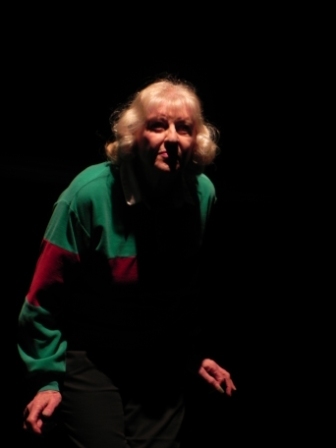 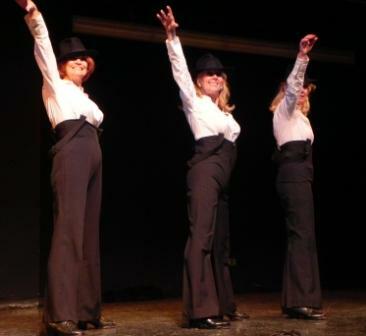 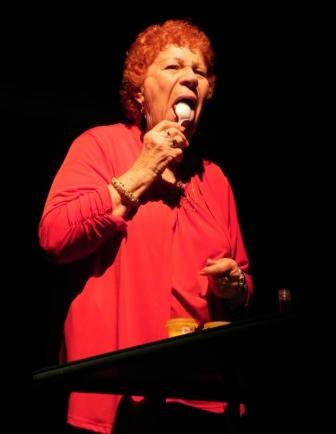 The show, performed in UNLV’s Student Union theater, was organized and choreographed in part by Richard Havey and Carole Rae and featured members of the group Fine Wine as special guests. 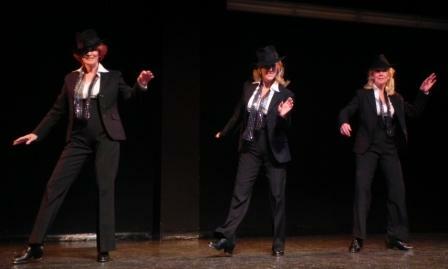 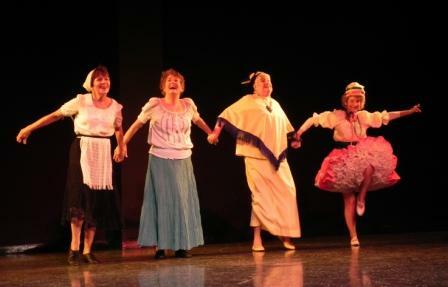 The cast of the show presented pieces choreographed by, for the most part, themselves. 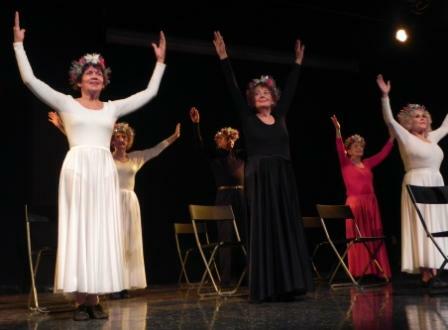 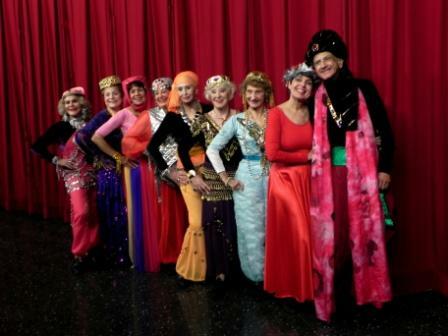 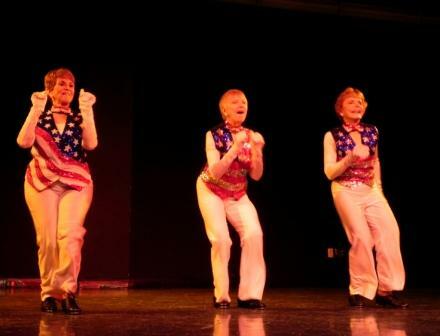 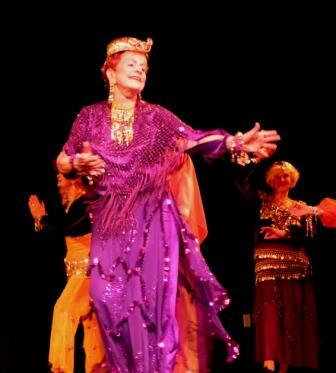 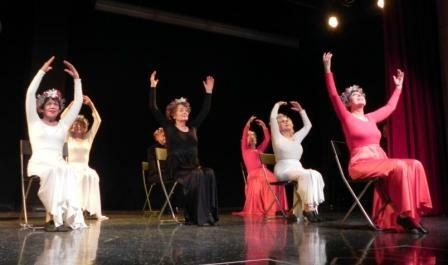 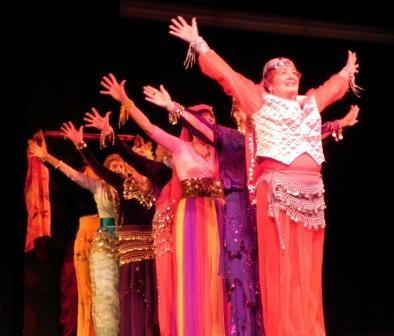 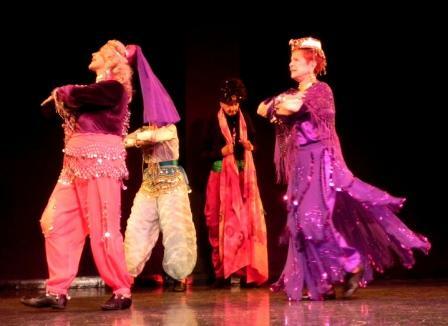 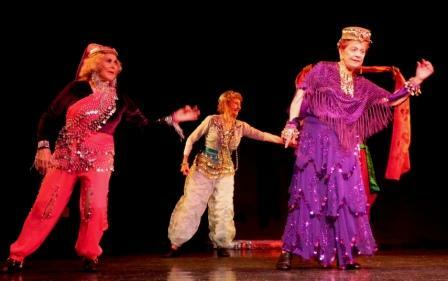 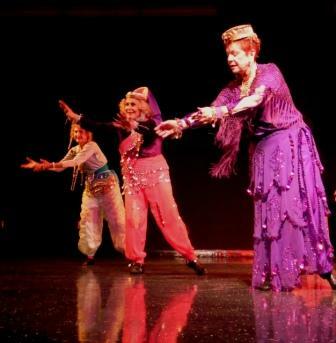 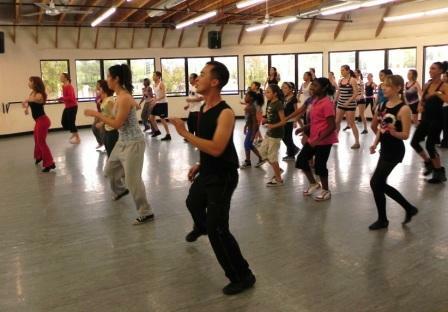 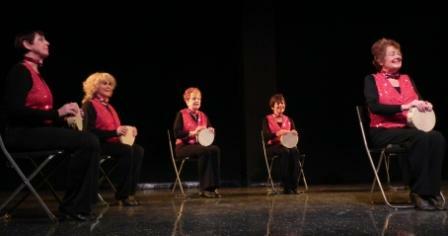 Many of the numbers had been part of midterm projects for senior adult dance classes at UNLV and were based around the cultures of different countries. 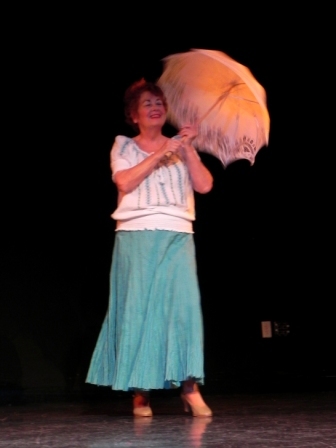 Gerd Hitchcock represented Sweden in lively blue and yellow, Maura Harrower high-stepped in proper Irish style and Alice Dodd twirled an umbrella in the name of England. 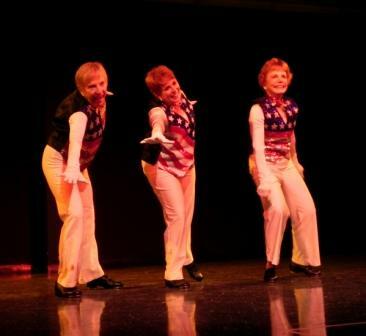 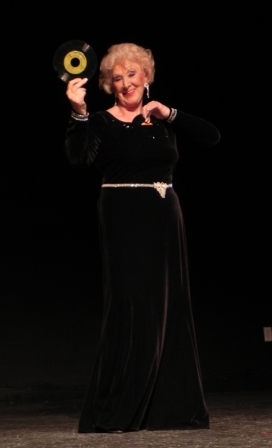 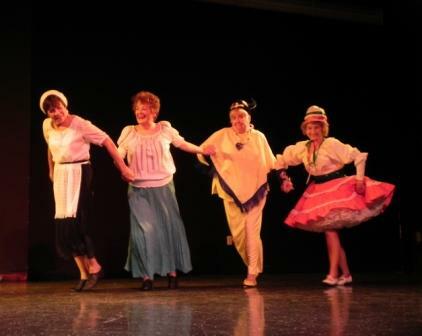 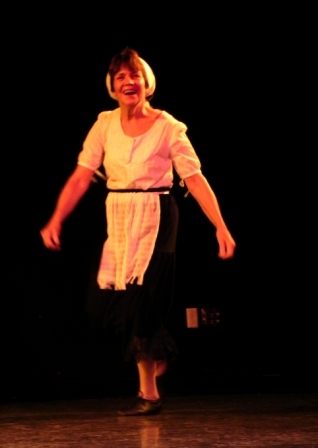 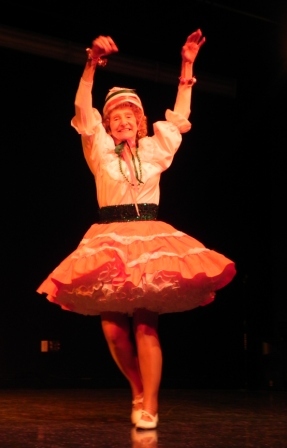 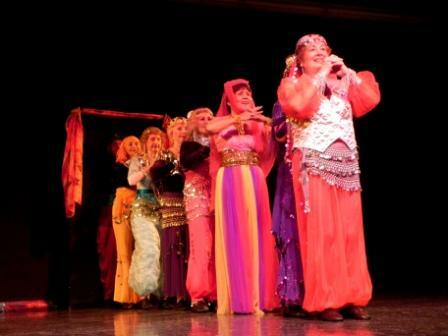 Eilah Cheek depicted Italy and Yvonne Du Plain was joined by Cheek, Dodd and Hitchcock to represent Hava Nagila. 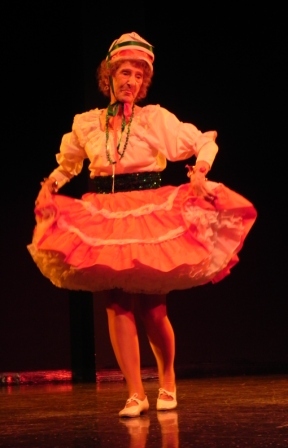 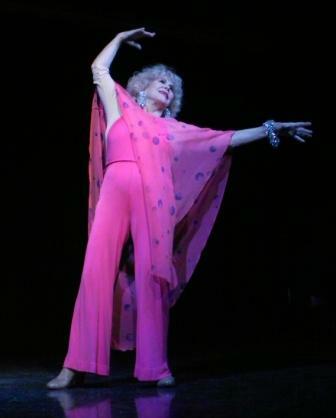 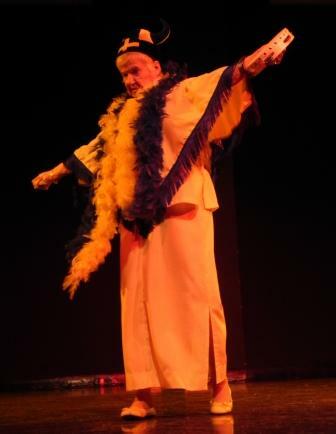 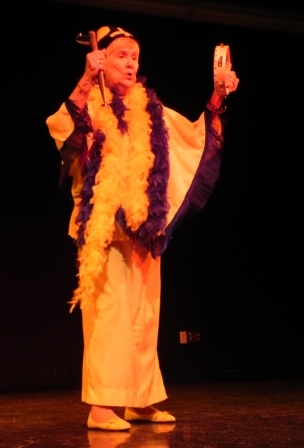 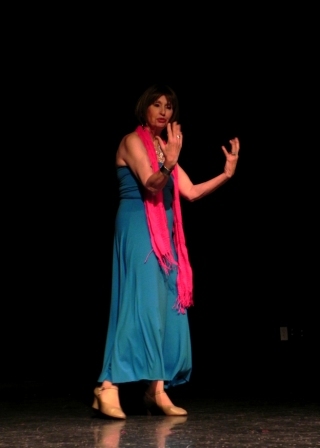 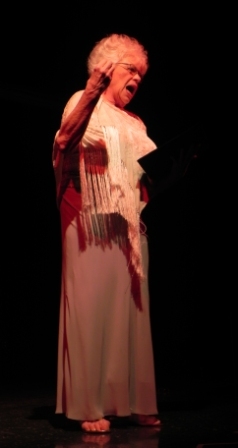 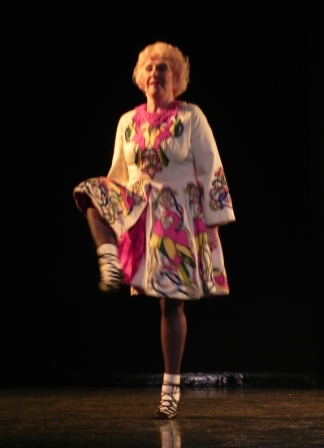 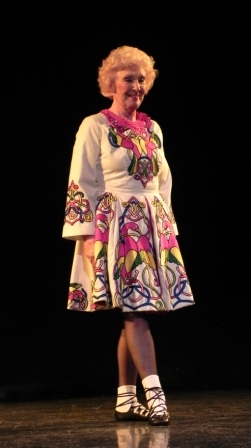 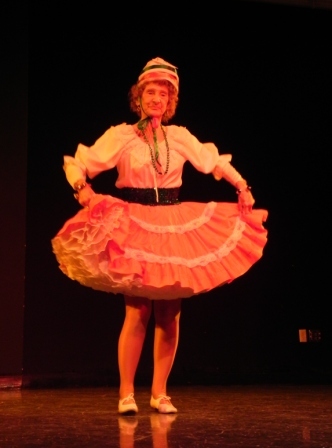 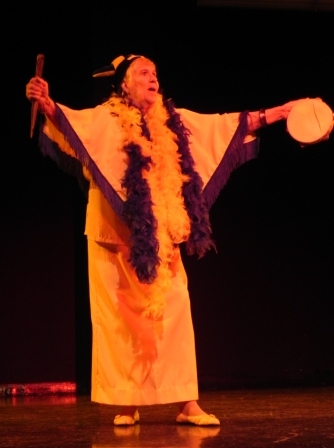 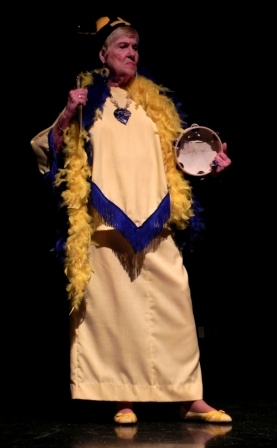 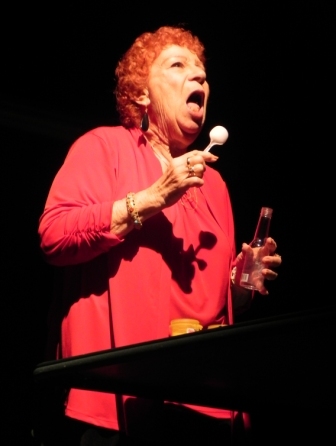 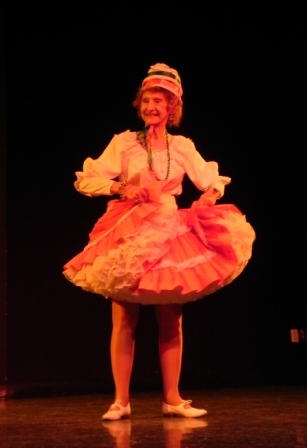 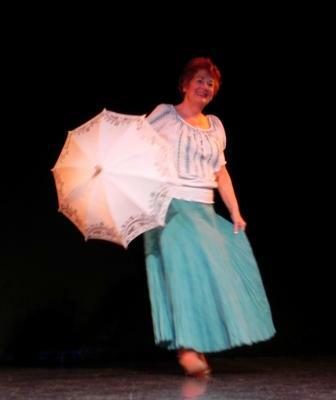 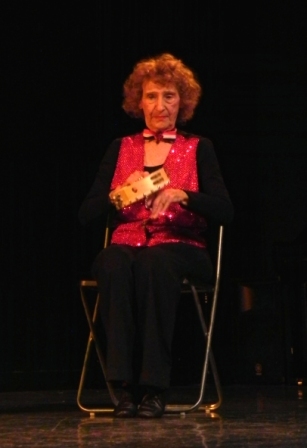 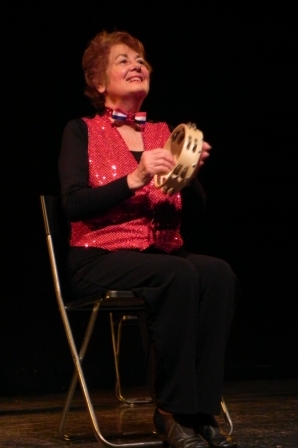 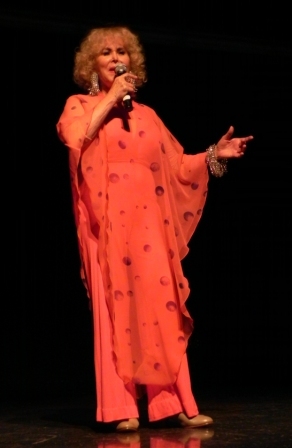 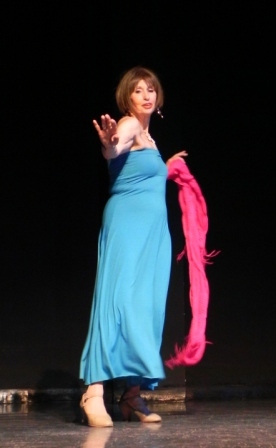 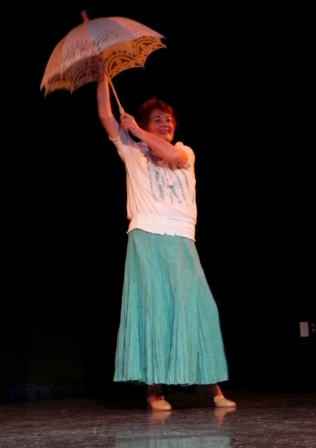 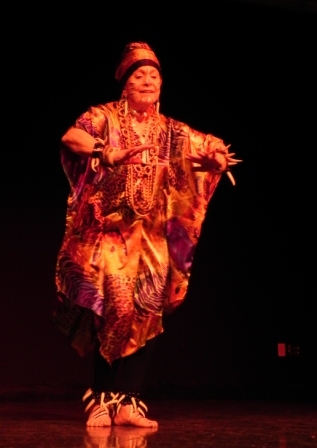 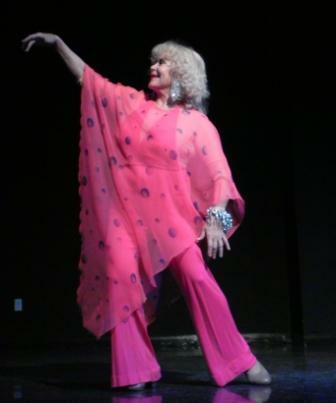 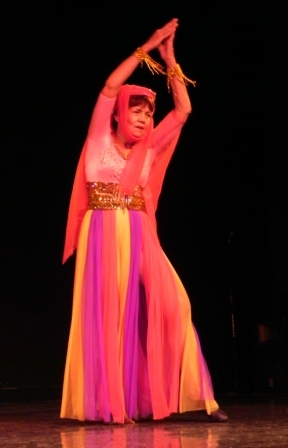 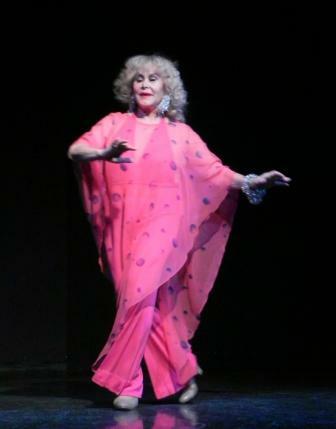 Sharron Libby, sashaying in blue and pink, portrayed Antigua, which was contrasted with the percussive nature of Mary Smydo’s African-themed number. 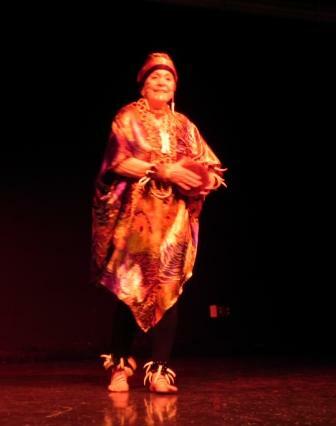 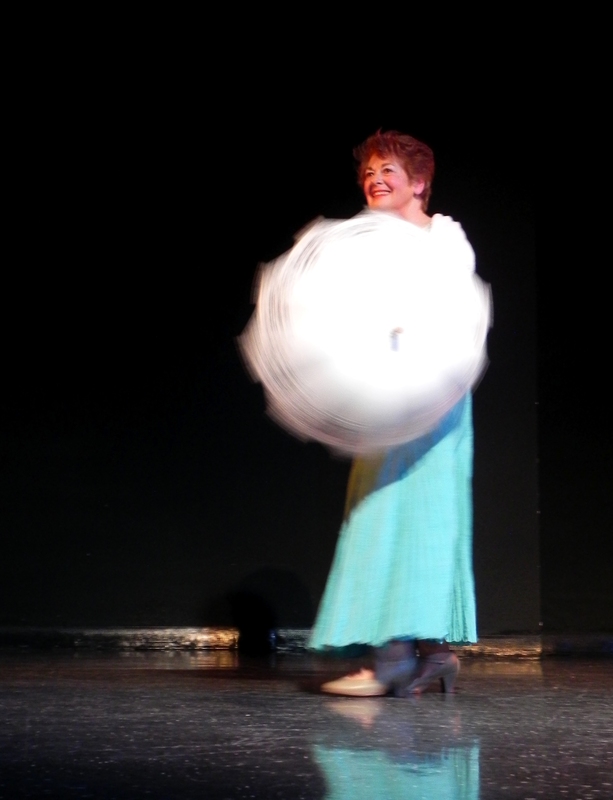 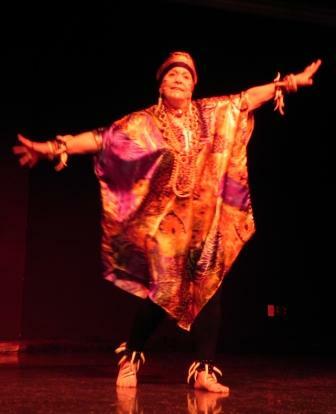 Vickie Peiper rounded out the multicultural part of the show with a vocal and dance piece based on the culture of Brazil. 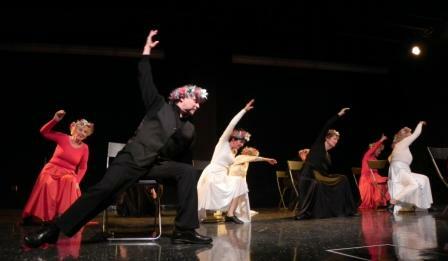 The theater side of things was also well represented. 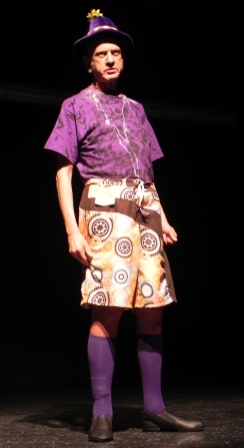 Monologues interspersed the performance and exemplified the vibrant personalities that glittered throughout the show. 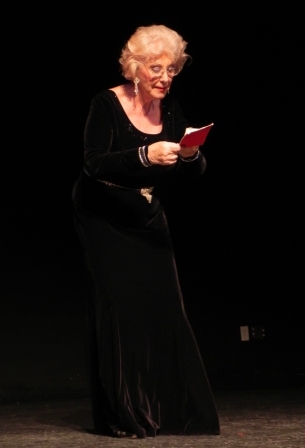 Harriet Stich, in the spirit of the season, impersonated a yowling store manager in the final days of holiday shopping. 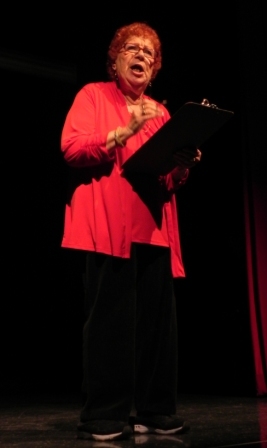 Stich manned a clipboard and warned store associates about the stigma of the “chicken list,” reserved for those that opted out of working during the rush. 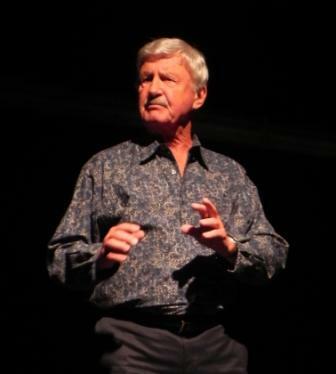 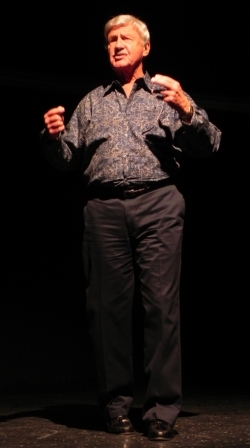 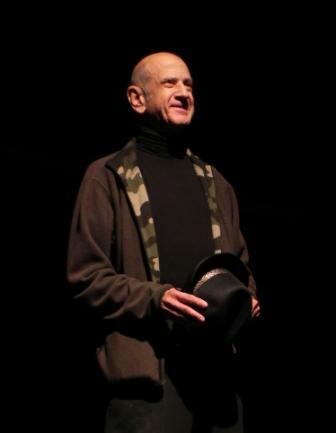 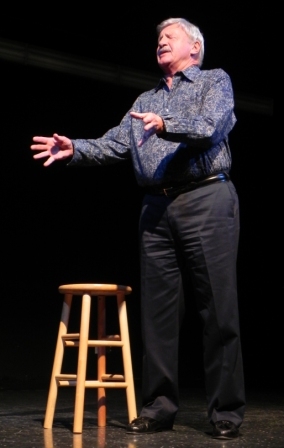 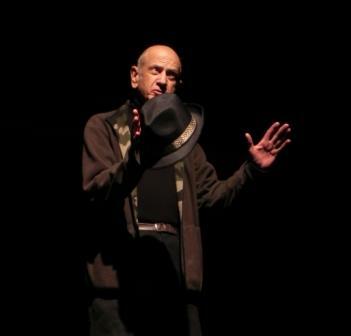 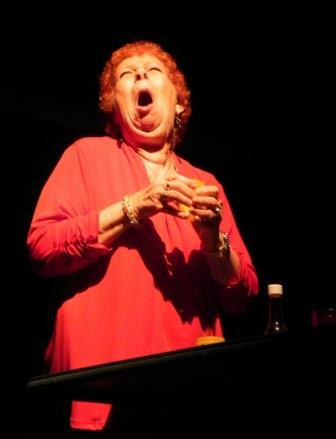 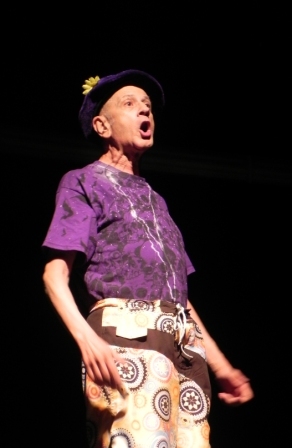 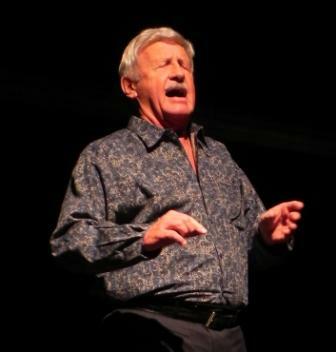 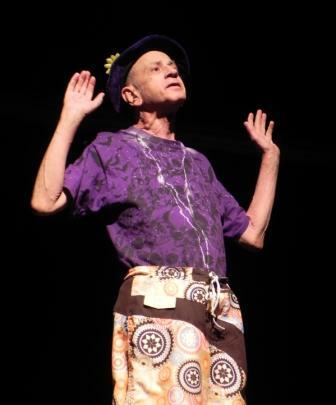 Vince Ragazzo performed Jimmy Durante’s “The Day I Read a Book” and the humor was well received by the audience. 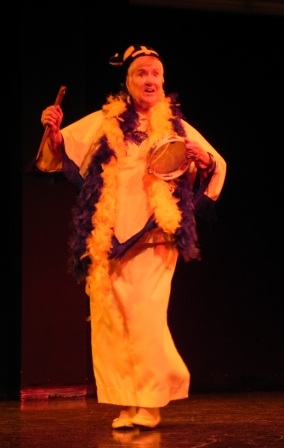 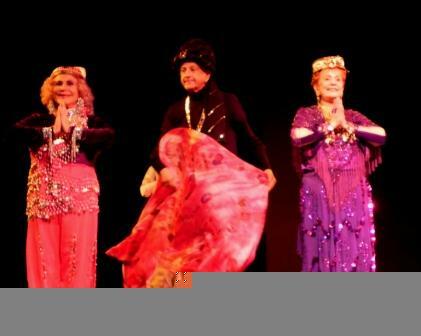 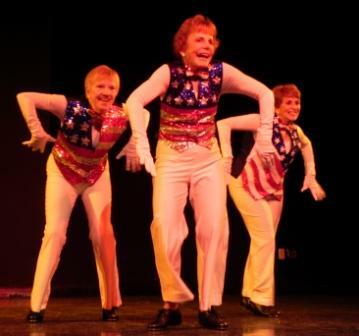 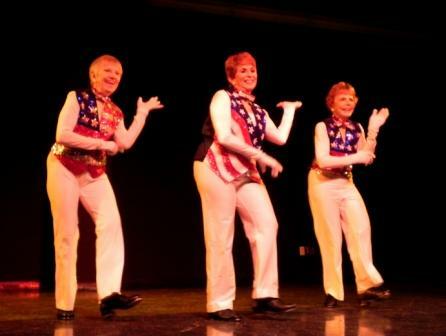 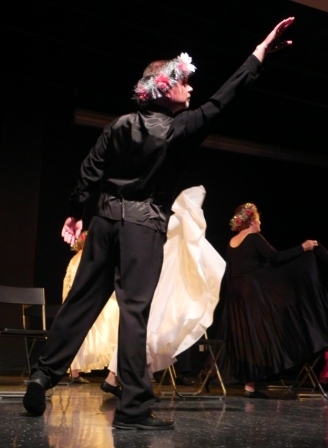 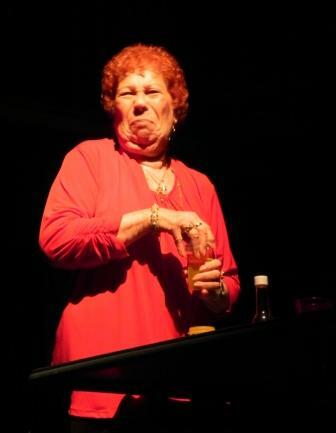 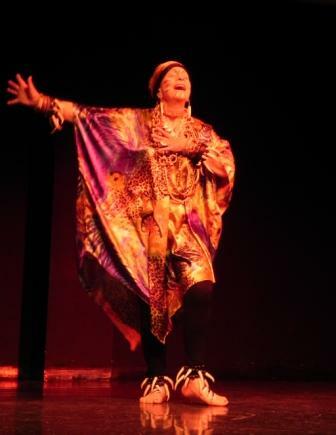 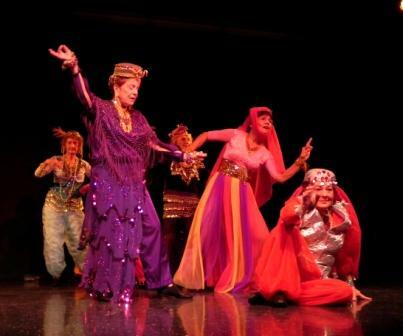 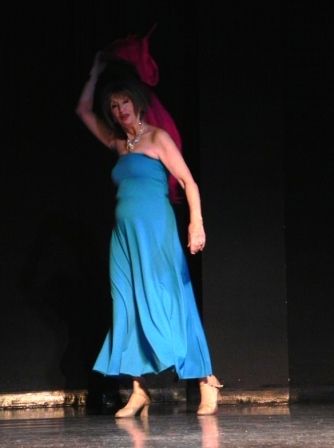 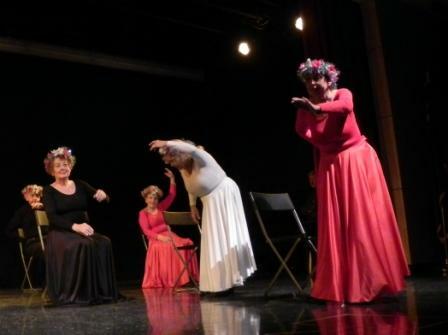 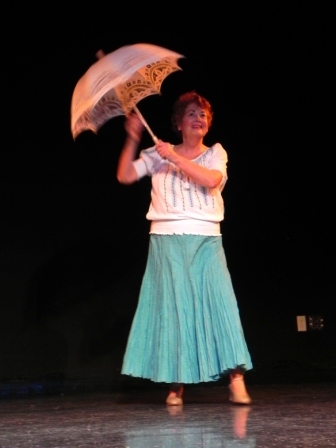 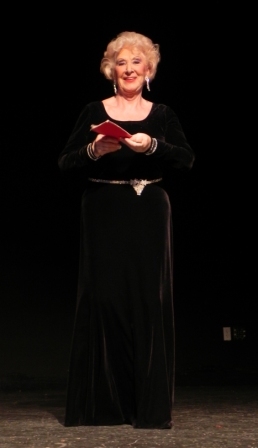 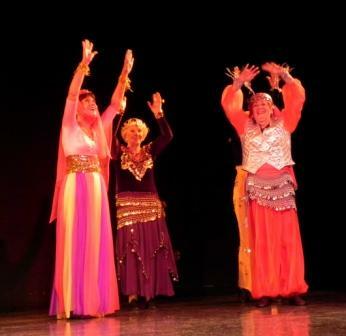 Sandy Runkle switched the vibe with a dramatic monologue called “The Memoirs of Cleopatra.” Guest group Fine Wine performed a tap number, as did Carol Cravens, Sonja Swenson and Ann Vizziccarro. 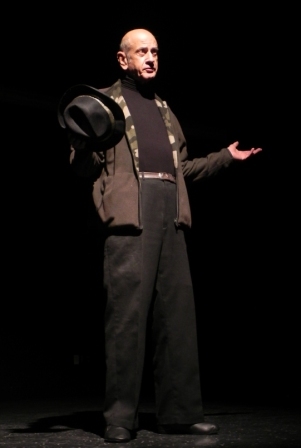 John Slocum’s booming, baleful voice filled the theater on several occasions. 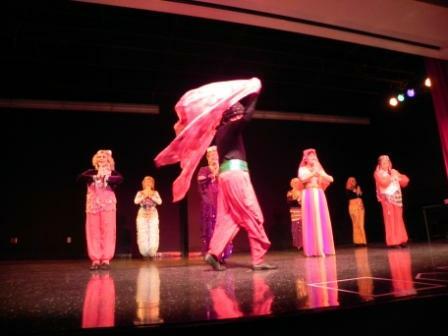 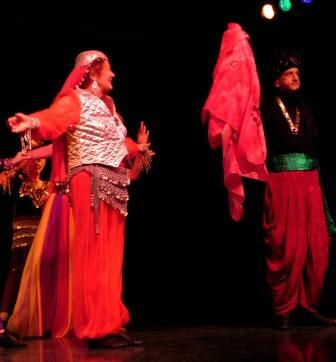 The group numbers, especially “BollyWood” by Carole Rae and “Tambourines” by Alice Dodd illuminated the lighthearted and playful aspect of the show. 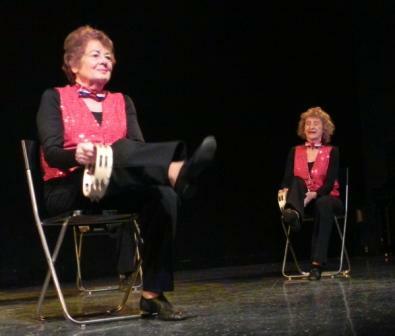 Although the attendance left something to be desired, the performers stayed true to the adage of putting on strong show no matter the size of the audience. 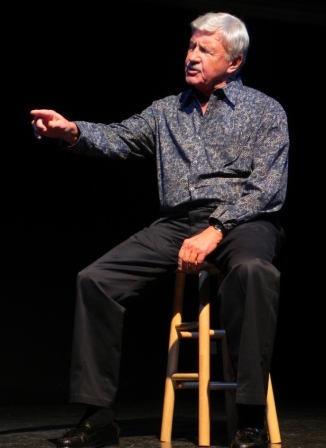 Another old saying holds true here as well: a photo is worth 1,000 words. 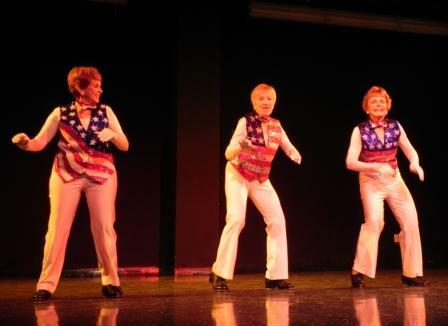 Here are a bunch.